You've heard of a 3 Dog Night, right? Well today is a 3 Candle ️️️ Day. 1 Candle️ is for me, to give me energy to make it through another day of pain. 1 Candle️ is for Beto O'Rourke, to Beat-o the scumbag Ted the Turkey down in Texas, the home of Steers & Queers. 1 Candle️ is for the Demodopes to take control of the House of Reprehensibles. I am interested to see how well Candle️ Power works here today. Hope the candles are working. Keep a fire extinguisher handy. You apartment is perfect for you. Don't burn it down. Have Fire Extinguishers handy. I keep them right next to the Vodka & Vino under the sink. I am a well prepped Pyromaniac. I made a really nice Fire Ring out of Aluminum Flashing to make a really big bonfire. Unfortunately I think they would kick me out of the complex if I do it here. I'm going to have to take a trip down to the Matanuska River near the campsite we stayed at to really light things up. Sometime this winter when I want to brave the cold. It's pretty frigid out there today, single digits. I'm enjoying the nice controlled burn of the NG flowing into my digs at the moment. 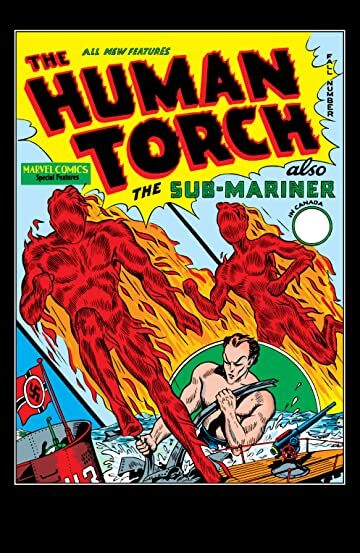 You can call me the Human Torch. You can be the Sub-Mariner. When we spent the night back at Matanuska after we dropped you off, we figured out that you can either have a site with a fire ring, or you can have one with electricity and water. The sites with hook-ups don't have fire rings. That's a serious oversight on somebody's part. LOL. "Froze out" is an apt description. However, I lived through it, though not an experience I care to repeat. I will let you and your beloved take your own vacations. Well, for me the trip was pretty good, if not ideal. I'm sorry you didn't have your legs back so you could have hiked up to the glacier with us. It was worth the three hour hike in pouring rain, and not too many things in life ARE worth a three hour hike in pouring rain. I didn't think it was going to be visible. For most of the hike it was very overcast and I thought it might be like up at Denali, where the view was obscured by the clouds. Then, just when I thought we weren't going to even see it, there it was. Nothing like I've ever seen. I wouldn't trade that experience for anything. Did you get any pics? My problems are my problems,but they were exacerbated on this trip which was what made it so awful for me. I am glad you had a good time though. My pics aren't as good as hers, and I don't have hers myself...but this is the glacier in the distance. From here, you're looking across the lake at the glacier. There is a dot that is a big tour boat, if you can see it. I was wrong. I couldn't make out the tour boat and so I blew it up and figured out it wasn't in that pic at all. My bad. The dots are calving ice. Here's the boat in perspective. You can at least make it out, barely. Couple more. Here is looking back down the lake in the direction away from the glacier. The tour boats come from that direction, but the mountain to the right blocks the view of the marina. We climbed over that mountain, basically. The trail goes through a little notch. This is the beach on the side of the lake where we were, looking back towards where we hiked in. That camera has decent resolution, so you can blow them up if you click on them. The poor quality I blame on the fact that it was indeed raining while I took them...but her iPad took better pics anyway. Turnout of Demodopes appears BIG. Repugnants look like they will be TOAST. 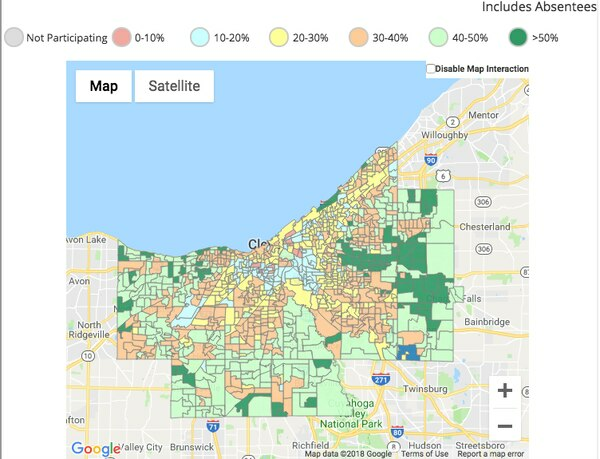 CLEVELAND, Ohio — Voter turnout in Cuyahoga County is already creeping toward eclipsing the 2014 midterm elections halfway through Election Day. Total voter turnout as of 1:03 p.m. stands at 35.3 percent. The 2014 elections turned out 39.5 percent of registered voters, according to the Cuyahoga County Board of Elections. The latest elections turnout numbers say 157,595 people have voted so far today and 161,930 voted in absentee ballots. Of those 318,000 voters, 44.4 percent are registered Democrats, 30.5 are nonpartisans and 25 percent are Republicans. In Cuyahoga County, there are 899,326 voters registered for this year’s midterm election. That’s an increase over the 886,098 registered voters for the 2014 midterm, according to Board of Elections data. Many polling locations across the county have reported a busier Election Day than normal. Cuyahoga County Board of Elections Director Pat McDonald said voters have been steadily streaming into polling locations since the polls opened at 6:30 a.m. He predicted that voter turnout could reach 55 percent by the time polls close at 7:30 p.m. Turnout has been highest in Shaker Heights, Cleveland Heights, Beachwood and Westlake, McDonald said. Cleveland has 24 percent voter turnout so far on Tuesday, according to the Board of Elections. ️ Congratulations, Democrats. Now Watch Your Step. Control of the House means much-needed investigations of Trump. Make sure they’re serious and fair. Taking control of the House of Representatives will give Democrats a gold mine worth of opportunities to investigate the ethically challenged administration of President Donald Trump. That’s a potential nightmare for the White House but also a political minefield for the winners. The Democrats’ investigative course depends in part on the actions of Justice Department Special Counsel Robert Mueller, who is looking at connections between Russia and Trump’s 2016 campaign. If he brings charges in the next couple of months against Trump operatives, Democrats are likely to narrow the scope of their congressional inquiries. If the president tries to sabotage Muller, for example through a new and hostile attorney general, there will be a concerted effort by congressional Democrats to publicly reveal whatever Trump tries to hide. Americans being suckered into focusing on voting for one of the two parties of the ruling genocidal Wall St. plutocracy, US CIA controlled media informs of Yemeni children dying from bombs & starvation knowing its captive audience will not turn against the American killing machine. Once USA-EU loses hegemony, the many nations that have seen their children murdered by USA and European empires will demand justice. Death an destruction everywhere we go, but the images, even when available, seem to move few Americans to action. The good people of the murderously plundered Third World should not let themselves be taken in by USA worldwide satellite beamed CIA-fed media prattling on continuously about American democracy during ongoing elections. It has often been pointed out that there really is only one party allowed in the United States, the party of the ruling propertied capitalists, and it has two right wings: Republican and Democrat. One of the most internationally powerful plutocrats in US history, John Pierpont Morgan, in a candid moment admitted, ”Of all forms of tyranny the least attractive and the most vulgar is the tyranny of mere wealth, the tyranny of plutocracy” . Veblen’s observation is born out by Americans always having been willing to follow criminal orders and bomb, invade and occupy other peoples’ lands the world over. The US CIA-controlled media is so sure of the headlock it has on the American public, its mainstream media can even inform of Yemeni children dying from bombs & starvation knowing its captive audience will not turn against their American killing machine. Even the most eye-rebounding photos published in wars supporting New York Times https://www.nytimes.com/2018/11/01/world/middleeast/yemen-starvation-amal-hussain.htmland seen on PBS television channels will not put a dent in American solidarity with its government’s and military’s genocidal actions in Yemen – prosecutable genocidal crimes against humanity. But nothing can effect a change in American dedication to their military and its military’s heritage (of gore, death and destruction). In one American ear and out the other. Martin Luther King made bold headlines in newspaper throughout the world with, “The greatest purveyor of violence in the world today is my government. In Vietnam we may have killed a million already, mostly children.” King cried out, “Silence is treason!” but at home extremely few Americans spoke out in agreement, many spoke against him, most were silent, and King was shot to death within the year. No, this archival research peoples historian activist is convinced that no change will be coming from anywhere in the American led First World, especially now as it is hard pressed losing its hegemony to a future multipolar world. Some of us work to somehow make this Americans killing millions of children come to be topic of conversation in the Third World for the children’s lives that could be saved. 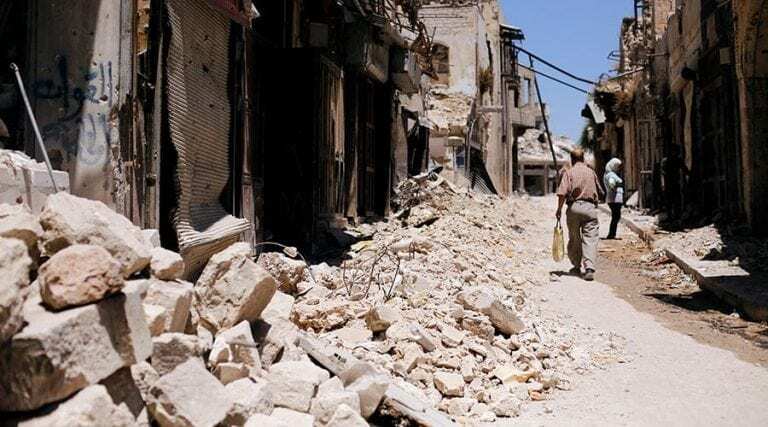 Once USA-EU loses hegemony and can no longer sanction, the many nations that have seen their children murdered by USA and European empires will demand justice in the courts of a reconstituted and reorganized democratic United Nations. In the meantime let’s have faith that the astounding intelligence witnessed in the miraculous achievements in outer and inner space will eventually manifest itself in ending the five centuries of European and American genocide for money and power. JAY JANSON, Resident Historian, Distinguished Collaborator • Jay Janson is an archival research peoples historian activist, musician and writer; has lived and worked on all continents; articles on media published in China, Italy, UK, India and in the US by Dissident Voice, Global Research; Information Clearing House; Counter Currents and others; now resides in NYC; First effort was a series of articles on deadly cultural pollution endangering seven areas of life emanating from Western corporate owned commercial media published in Hong Kong’s Window Magazine 1993; Howard Zinn lent his name to various projects of his; Weekly column, South China Morning Post, 1986-87; reviews for Ta Kung Bao; article China Daily, 1989. Is coordinator of the Howard Zinn co-founded King Condemned US Wars International Awareness Campaign, and website historian of the Ramsey Clark co-founded Prosecute US Crimes Against Humanity Now Campaign, which Dissident Voice supports with link at the end of each issue of its newsletter. THE BLUE WAVE THAT WASN’T: WILL TRUMP BLAME HOUSE DEMS FOR THE NEXT RECESSION? THE BLUE WAVE THAT WASN’T: WILL TRUMP BLAME HOUSE DEMOCRATS FOR THE NEXT RECESSION? Voters took a major swing toward Democrats, but the Senate got even redder. That doesn’t suggest simple repudiation of Trump as much as it suggests increased national polarization and a continuing realignment. 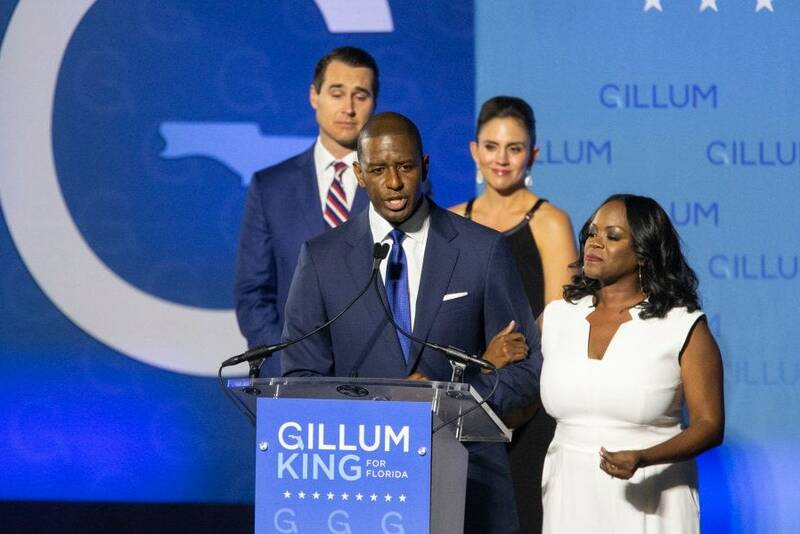 Andrew Gillum gives his concession speech November 6, 2018 in Tallahassee, Florida. Farewell, Republican House majority. Much like the Pontiac Aztek, you will be missed. You greased the way for bills that most Americans didn’t want (like the repeal of Obamacare) while going nowhere on bills that most Americans did want (like infrastructure). Even with laws that congressional Democrats oppose but most Americans support, such as requiring employers to use E-Verify, Republicans were too owned by their own special interests to act. They managed to be both do-nothing and do-bad. What happened during this election, anyway? On the one hand, voters took a major swing toward Democrats, favoring them by a popular-vote margin of (as currently projected) 9 percentage points, bigger than even the major “thumping,” asGeorge W. Bushcalled it, of Republicans in 2006. That suggests a major repudiation of Trump. On the other hand, the Senate got redder, and much-vaunted Democratic candidates such as Andrew Gillum and Bill Nelson in Florida,Stacey Abrams in Georgia,Phil Bredesen in Tennessee, andBeto O’Rourke in Texas all fell short of hopes, sometimes way short. The ouster of Missouri Senator Claire McCaskill,who’d won re-election in a landslide in 2012, will also cause a lot of agonizing. That doesn’t suggest simple repudiation of Trump as much as it suggests increased national polarization and a continuing realignment. We’ll surely be wiser in a week, but, so far, the results seem to vindicate the prediction of political analyst Henry Olsen that upscale suburban Republicans would flee to the Democratic side. Now we push on. And most Americans can exhale a little over a return to divided government. That’s not because Democrats can boast of great plans, vision, or integrity. But they can at least get in the way of awful Republican laws. If the White House commits malfeasance—stuff that’s not merely sleazy but possibly criminal—Democrats can dig into it and subpoena witnesses. If the #Resistance is freaking out, Democrats can calm them down simply by being in charge of a major gate to action in all things. No Republican bill passes anymore without some Democrats signing onto it. Bipartisanship produces lots of horrible legislation, too, but it tends to curb excesses and unsound ambition. Many of Trump’s deplorables will be bitter, and understandably so. They elected Donald Trump because he promised to build a wall. There will be no wall. Priorities are policy, and Trump’s were elsewhere. He focused his political capital on helping Paul Ryan,an adversary, enact Paul Ryan’s dream agenda. The deplorables barely escaped seeing millions in their own ranks thrown into health-care chaos, and they got a tax bill so unpopular that Republicans were afraid to campaign on it. Curiously, despite the setbacks, Trump finds himself in a non-disastrous place. The Republican majority in the Senate has grown, which makes it easier to confirm judges and other appointees, and it also shields him from some of the oversight that would have come with a Democratic takeover of both houses of Congress. He also has a foil now. Donald Trump is thin-skinned but combative. He loves to fight. 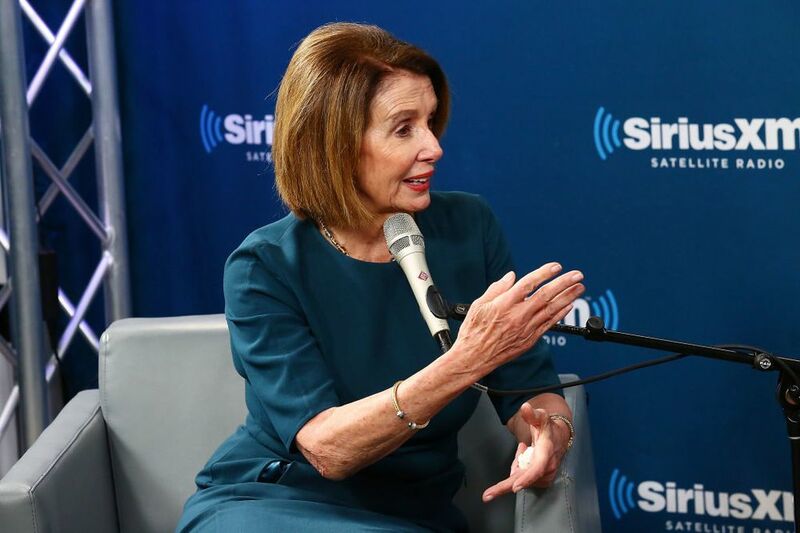 You might even say he likes his enemies better than his friends.Nancy Pelosi and the House Democrats will bother Trump, but they’ll also energize him. The mental health of the rest of us will depend on how seriously we wish to take each cage match. Democrats will, of course, put an end to Republican investigations into possible F.B.I. improprieties during the 2016 election and instead launch investigations into every Trump-related impropriety over the past 70 years. Special Counsel Robert Mueller will unseal indictments, and a Democratic House will be far more eager to pursue anything that leads to Trump’s door. But it’s hard to say what will draw blood. We don’t know what Mueller has, but indications are that it’s not going to be fatal to the White House. As for Trump’s other shenanigans over the years, the public has a hard time understanding complicated malfeasance, and everyone already knows he’s a rascal. If we avoid war, God willing, the biggest mystery factor going forward will be the effects of the next recession. Rising interest rates, falling home prices, a bumpy stock market, and other clouds on the horizon suggest that a downturn, after an exceptionally long economic expansion, is imminent. This won’t be anyone’s fault, but we can count on Trump to blame the House Democrats and all Democrats to blame Trump. The fundamentals of this would work in favor of Democrats, because voters tend to blame presidents first and foremost. But, since his first two years have been seen an economic boom, Trump might be able to argue that things were going great until a Democratic House majority stood in his way. Either way, odds are high that 2019 and 2020 will be recession years and 2021 a recovery year. If Trump wins a second term, he’ll get credit for the recovery. Otherwise, the credit will go to President Avenatti.